Is Inbound Marketing an old idea? In the years since Godin wrote this book, there has been substantial movement in advertising dollars and efforts from outbound marketing via the above advertising media to inbound marketing which might be considered a synonym for Godin’s Permission Marketing. Much of what we non know as inbound marketing is marketing through websites, blogs, and social media. Even today’s traditional interruption marketing often takes advantage of and leverages internet and web capabilities in its approach. If you correlate selling to interruption marketing, you can see Drucker’s point and its relation to what we now refer to as outbound marketing vs inbound marketing. 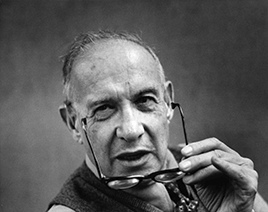 In fact, I’ve read enough Drucker to know that he equated other forms of outbound marketing such as advertising, direct mail, etc. to selling. He really thought of marketing as creating products that satisfied customer needs. So we come full circle, and begin to recognize that we need to be about helping customers buy products that they need and want rather than annoying them with pushy messaging. Inbound marketing helps us do that. Is your firm doing more inbound marketing this year than last? What about plans for next year? More inbound marketing efforts or more outbound? This entry was posted in Business and tagged a, advertising, in, inbound marketing, internet, ma, marketing, outbound marketing, Peter Drucker, sel, selling, Seth Godin, soci, social media, website. Bookmark the permalink.